Join us for an evening of wine, light appetizers, live music and good company. 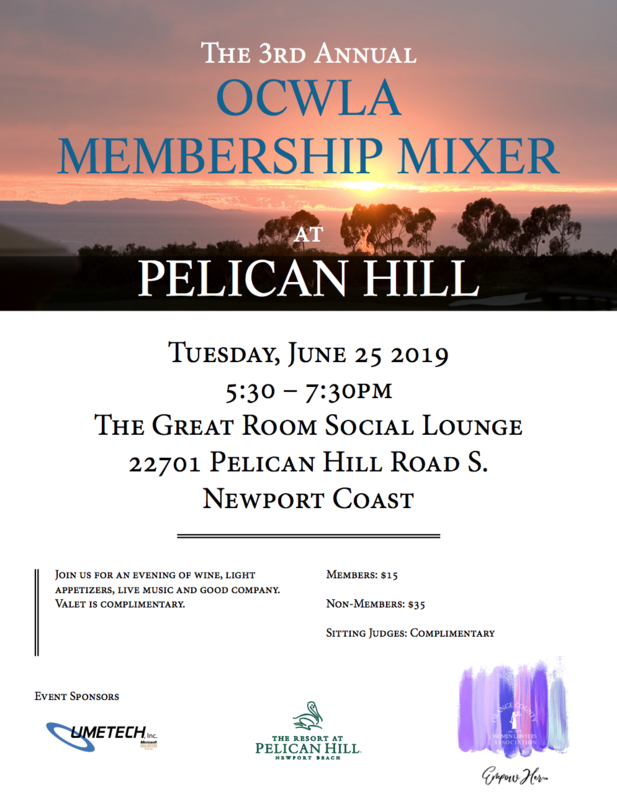 Note: No registration refunds are available within 72 hours of OCWLA events; however, an event ticket may be transferred to another individual for the same event as originally purchased. Late RSVPs are subject to a $5. fee.